Alkali Metals is used as a term in Periodic Chemistry when classifying the chemical elements. Each element can usually be classified as a metal or a non-metal based on their general Chemical and Physical Properties. These metals are any of the metallic elements within Group 1 in the Periodic Table (see the List of Alkali metals). They are soft metallic elements that form alkali solutions when they combine with water. The alkali metals have one electron in their outer shell, and therefore react easily with other elements and are found in nature only in compounds - see Compounds. Alkali metals are soft, malleable, ductile, and are good conductors of heat and electricity. They are very reactive metals that do not occur freely in nature. Except for cesium, which has a gold sheen, alkali metals are white. 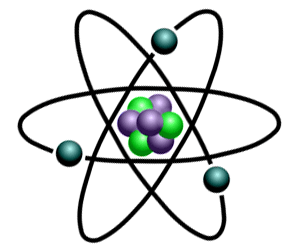 Nearly 75% of all the elements in the Periodic Table are classified as metals which are detailed in the List of Metals. The 6 elements classified as "Alkali Metals" are located in Group 1 elements of the Periodic Table. Elements classified as Alkali Metals are therefore any of a group of soft, low-density, low-melting, highly reactive metallic elements which are powerful reducing agents. Except for cesium, which has a gold sheen, alkali metals are white. They have one electron in their outer shell, and therefore react easily with other elements and are found in nature only in compounds. The alkali metals form alkali solutions when they combine with water (especially when heated). When combined with water Alkalies form strongly basic solutions with an acrid taste.